There are many things that lend uniqueness to the Indian civilization. One of the most enduring of these is the Indian architecture. Two images that conjure up in one's mind when talking about architecture in India are those of the Taj Mahal and the temples of Khajuraho. But there's much more to Indian architecture. 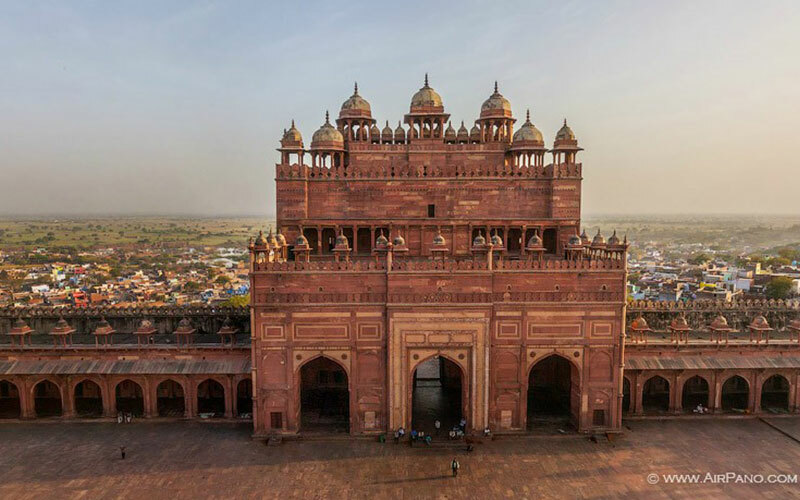 Right from the cities of Mumbai and Aurangabad to Delhi, Orchcha, Shivpuri, Gwalior and the Golden Triangle Circuit, the entire Indian soil is dispersed with a wide range of architectural marvels. As you continue to travel from one city to another, you will simply be spellbound by the wonderful mix of history, culture and religion that the Indian architecture presents. It is the richness of the Indian architecture that draws in tourists in large numbers from all across the globe. At Max Holidays, we strive to help you rediscover the architectural charm of India – one city at a time. Whether you are travelling alone or with family and friends, our Architecture of India tour will take you to those places that will leave you with beautiful memories of a lifetime. Whether you wish to explore the historical, cultural or religious exuberance of India, you will find it all and a lot more in this tour package. 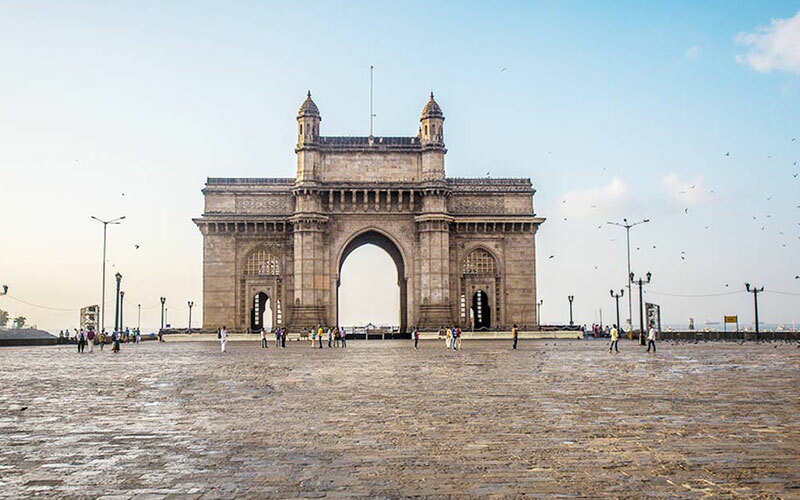 Start with a sightseeing tour of Mumbai. Make a visit to the Kanheri, Karla and Bhaja Caves. Head towards Ajanta and Aurangabad for more excellent sightseeing before travelling to Delhi. 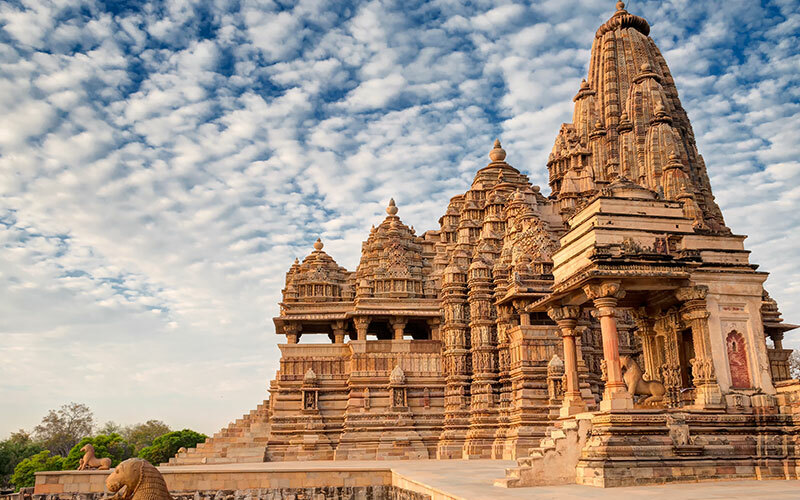 Soak up the architectural charm of Khajuraho and Orchha temples. After visiting Shivpuri and Gwalior, visit the Golden Triangle circuit which includes such famous cities as Agra, Jaipur and Delhi. After early breakfast Max Holidays representative will meet you at your hotel and transfer you to the domestic airport to board flight for Aurangabad. Arrive Aurangabad and check-in at the hotel. 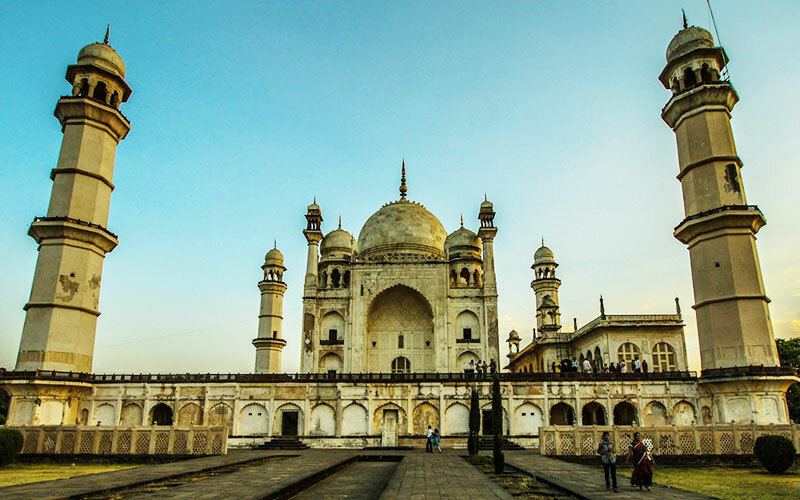 After wash and change, proceed to enjoy the guided city tour of Aurangabad starting with Daulatabad Fort and Biwi – ka – Maqbara. Also visit Ellora Caves – one of the UNESCO World Heritage Site.Overnight at the hotel in Aurangabad. After breakfast, proceed for sightseeing tour of Ajanta Caves, these magnificent caves have breath taking rock cut architecture and famous for being the world heritage site. Drive back to hotel.Evening free to explore the town.Overnight at hotel in Aurangabad. Early morning, Max Holidays representative will meet you and assist you to reach airport and board the flight for Delhi the capital city of India. Meet and assist upon arrival at Delhi airport by Max Holidays representative, transfer and check into your hotel. After wash and change, get ready for the splendid sightseeing tour of Delhi. Delhi holds the proof of its historical rules from long back in the form of monuments or other buildings. Start the tour with Red Fort and drive through the Chandni Chowk, You can also have an optional Rickshaw ride through the market of Chandni Chowk. The UNESCO World Heritage site of Delhi that is Humayun Tomb and Qutub Minar have its own beautiful view, these are some of the not to miss sites of Delhi. Visit Raj Ghat – the cremation ground of Father of Nation Mahatma Gandhi. Also visit India Gate – the memorial built to pay tribute to the martyr of World War and Afghan War. Drive pass through Parliament and President House. Drive back to the hotel for overnight stay. Following a leisurely breakfast, drive towards the next architectural destination Orchha. Arrive Orchha and check into the hotel. Orchha is a historical city of Madhya Pradesh has got excellent architectural build up and Betwa River adds pictures to the Orchha city. Each and every palace and pillar of Orchha has sufficient power to attract you towards it. Orchha has lot many scenes to fill your cameras and add to your memories. The places which one cannot miss in Orchha are Raj Mandir and Jahangir Mahal. The Chattris at Orchha presents a spectacular view and holds the viewer with its charm for a long time. Fort of Orchha , Chaturbhuj Temple and Sawan Bhadon Mahal are some of the site in Orchha which presents a picturesque and magnificent view, each and every stone of these architectural build up speaks their own importance to be stopped and given a glance. Overnight at the hotel. After breakfast drive to the next great architectural attraction of Madhya Pradesh – Shivpuri. Shivpuri was once the summer capital of India Rulers and was also the hunting ground of Mughals. This place has got the bliss of nature’s god who has endowed the place with beautiful dense forest, to enhance the green environment of the surrounding. The places of interest in Shivpuri are Madhav National Park, which will satisfy the quench of adventure as well as wildlife hunt, Chattris, Madhav Vilas Palace, George Castle, Bhadaiya Kund and Sakhya Sagar Boat Club. After you complete with the sightseeing, enjoy the nature and drive back to the hotel for overnight stay. 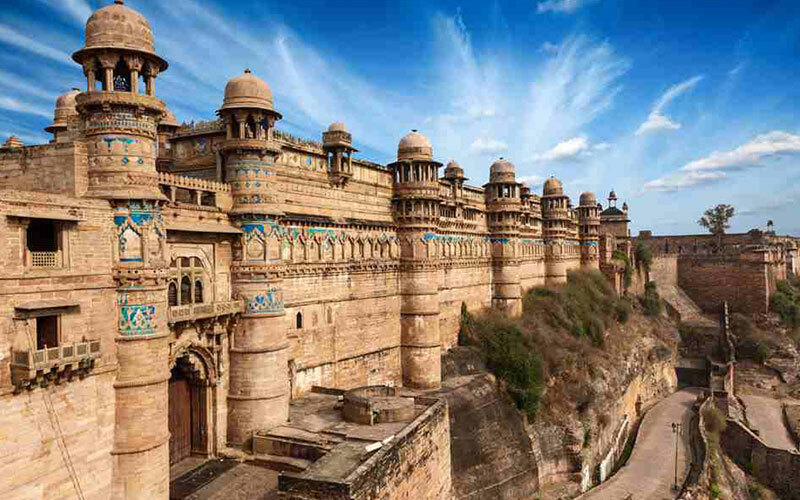 After breakfast, we head to the next destination Gwalior, famous for its forts and many other architectural buildings. Upon arrival, check into your hotel. After freshen up, proceed for a guided city sightseeing of Gwalior.Visit Jai villas Palace and Museum, the Sun Temple, Maharaja Bada – the famous market place, Tanseen Tomb and the Gurudwara. End with a beautiful and brilliant example of medieval architecture – Gwalior Fort, there are many other architecture which is housed by this fort the most magnificent is the Sas Bahu Ka Mandir. Enjoy the ‘Light and Sound Show’ at the fort in evening. Drive back to the hotel for overnight stay. After breakfast drive towards the city of Taj Mahal - Agra. Upon arrival in Agra, check into your hotel. Later proceed for guided sightseeing of Agra visiting magnificent and awesome monument build in the memory of Mumtaz Mahal by Shah Jahan – Taj Mahal. The next important sights waiting to amaze you are Agra Fort and Itimad–ud–Daulah. Rest of the day is free to explore the town.Overnight at the hotel. Remarks : If the time permits, you can also view the Mohabbat e Taj show at evening, which is a cultural programme creating a Mughal era. Remarks : You may enjoy a visit and dinner at Chokhi Dhani, which is an artificial village representing Rajathani culture. One can also enjoy camel ride, magic show, snake charmers. Following a leisurely breakfast, head towards Delhi, along one of the India’s finest freeways. Upon arrival in Delhi, check into the hotel booked for you.Afternoon free to explore the local area.Overnight at the hotel. Remarks : If time permits , you can visit to the Kingdom of Dreams offering you the best form of Cuisine, Crafts, Musicals, Dramas, Street Dances, Mythological Shows. Following breakfast our representative will meet you at the hotel and assist you to reach the international airport to board flight for onward destination.